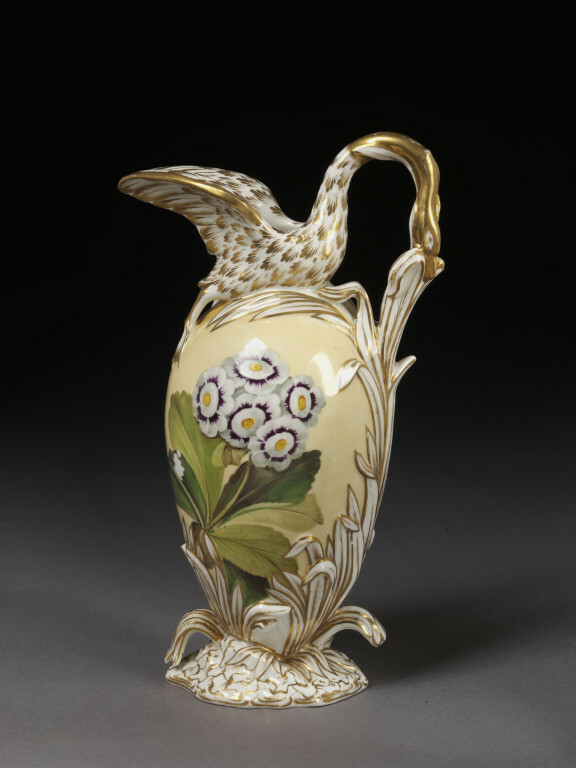 Ewer of bone china, painted with enamels and gilded. 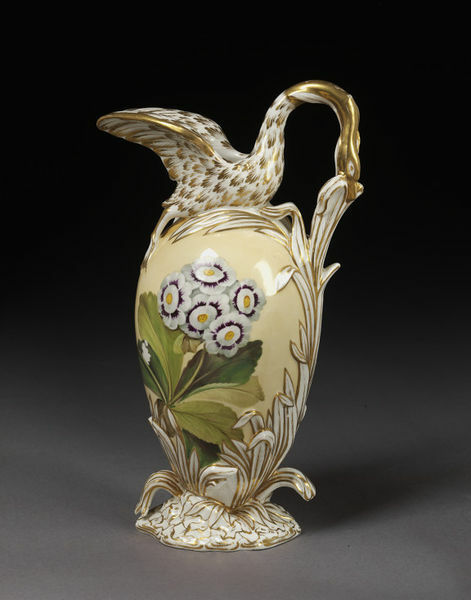 Ovoid body rising from a group of rushes and surmounted by a figure of a swan, the neck of which forms the handle, and the outspread wings the spout. The rushes and swan are gilded on a white ground. The body is painted on either side with flowers on a pale yellow ground.